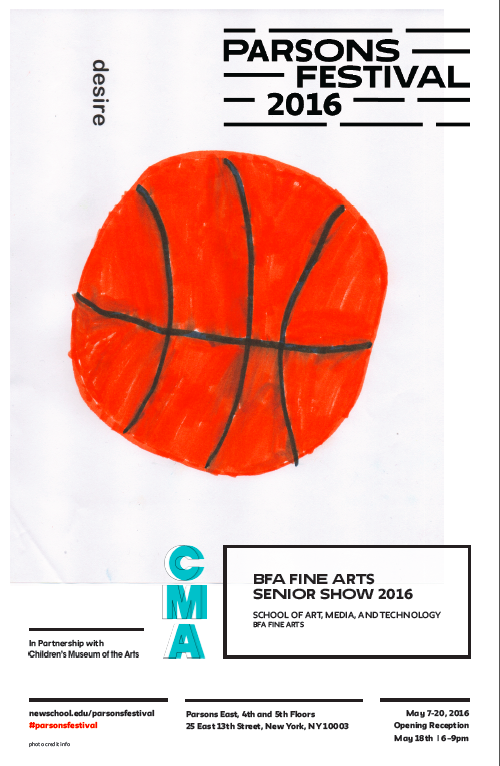 The BFA Fine Arts Senior Show opens to the public with a reception on May 18th at 6:00PM. Taking place on the 4th and 5th floors of 25 E. 13th St, this show runs through May 20th. Graduating students will be exhibiting their senior projects in painting, sculpture, video, installation, performance and other related media. Showcasing the depth and breadth of our students’ 2016 thesis projects, this exhibition is sponsored by the School of Art, Media, and Technology and is part of Parsons Festival 2016.